The CEO of the VirtuPort’s 6th annual Middle East and North Africa Information Security Conference 2018, Eng. 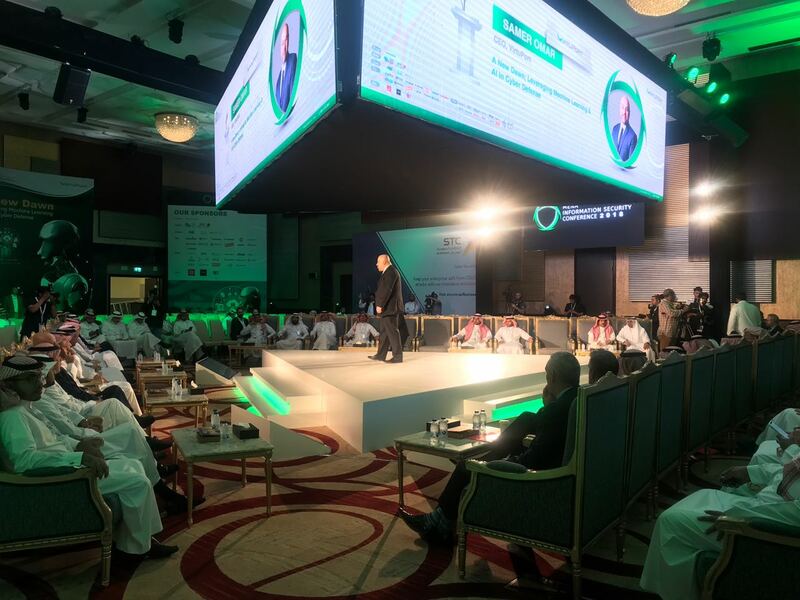 Samer Omar, who inaugurated the two-day conference, stressed that the use of artificial intelligence and machine learning technologies is now necessary to protect the new and emerging digital companies against next-generation threats. Artificial intelligence and machine learning are two of the most important components in combating next generation cyber-attacks as their severity increase. During his inaugural speech, Eng. Samer Omar highlighted the theme “A New Dawn – Leveraging Machine Learning & AI in Cyber Defense” he also pointed out during his speech that the international participants from major global cybersecurity and technology in addition to local companies are all evaluating this new approach. Maynard outlined during the conference that 69% of organization believe that operational technology is a viable attack vector in 2018. Furthermore, 58% of companies in Middle East and North Africa have suffered public breaches and their assets have been compromised. During his speech titled “Threat Intelligence – Highlights from 1H 2018”, Richard Wray Senior Director, Consultant Engineering & Operations EMEA at Netscout | Arbor, explained “A shocking 174% increase in global max DDoS attacks with the largest DDoS attack recorded to date by Netscout | Arbor 1.7 Terabytes per second”. He went on to highlight that modular frameworks that can download new capabilities are now spending more time on worm techniques like EternalBlu, and crypto mining. He noted that the Internet of Things allows remote sensing or control of devices across the existing network infrastructure, therefore, providing opportunities for more direct integration of the physical world into computer-based systems. This helps in improving efficiency, accuracy and economic benefit, as well as reducing human interference. The number of eligible devices online increased by 31% from 2016 to 8.4 billion last year, and the global Internet market value is estimated to reach $ 7.1 trillion by 2020. He added that the estimated number of devices connected to the 5G network to be one billion devices and to enter the market by the end of 2020 and the number of fifth-generation specifications, such as increasing the number of antennas for MIMO stations, increase the speed of response to less than a millisecond, increase battery life to ten times as much as before, increase the number of devices that can be serviced in one square kilometer, and provide good transmission speeds during movement at 500 kph. For his part, Kaspersky Lab's Vice President of Corporate Business Veniamin Levtsov said in his speech entitled "Effective Security Strategy: Between Open Space and the bunker?" that limits and barriers are now common in information and cyber security and that when choosing a solution, our first step is to know the problems associated with data transfer and storage, as well as the need for the system to connect to the cloud services, which limits the choice of corporate information and cyber security strategy. In his presentation, he also highlighted the most important factors to consider when developing an information and cyber security strategy, including the willingness to seek external expert services. This includes cyber security and insurance, the use of threat information and analysis on evolving threats. "The right approach to building an information security strategy, as always, is to find a balance between the open system, with the active use of managed services and cloud resources, and complete isolation from other outside sources" he said. "Rapid deployment of mobile devices, Internet of Things, and multi-cloud environments has eroded the boundaries of modern networks to provide effective protection and management, a strategic shift should be made to keep pace with the rapid development of the network infrastructure" said Rayan Mohtasib, Major Account Manager at Fortinet. Mr. Mohtasib said organizations also face regulatory requirements because they have to consider security certifications especially that old security strategies are no longer securing the current infrastructure properly, necessitating a new security strategy. Mr. Mohtasib went on to stress that Fortinet's security unit can meet Security requirements are done through three main features of "breadth, integration, and automation". During the session "Measuring the Efficiency of Information Security Controls, Basic Design Schemes or Individual Solutions," McAfee's Managing Director for the Middle East and Turkey, Scott Manson, urged the importance of reviewing how organizations look for simplicity and integrated design solutions in the fight against cybercrime, to individual product solutions to increase the electronic efficiency of these enterprises. On the other hand, General Manager of Cyber Security at STC, Eng. Yasser Alswailem held an open discussion on "Artificial Intelligence in the face of the human factor". Eng. Yasser Alswailem was also instrumental as a volunteer member of the advisory and scientific committee for the conference as well as Cyber Saber Hackathon. James Hanlon Director of Security Markets Specialization EMEA at Splunk, will also tackle the topic of " Driving more value from your next generation Security Operations Center (SOC) platform” in addition to the Technology Sales and Services Manager at Symantec Jamil Abu Aqel who will cover “Recent Trends in Cyber Crime”. The second day will be marked by a session of " Keeping Pace with the Threat Landscape " Which will be presented by David Powell, Managing Director – Security at Accenture, while Maher Jadallah, Regional Sales Director for the Middle East at Tenable, will present a "The Cyber Exposure" session. It is worth mentioning that this year's edition of the conference comes under the patronage of Saudi Telecom Company (Business) in cooperation with the Saudi Arabian Federation for Cybersecurity, Programming and Drones. The Cyber Saber hackathon Competition will be held in line with the conference for the second consecutive year, with the participation of more than 100 Saudi students and 10 public and private universities. 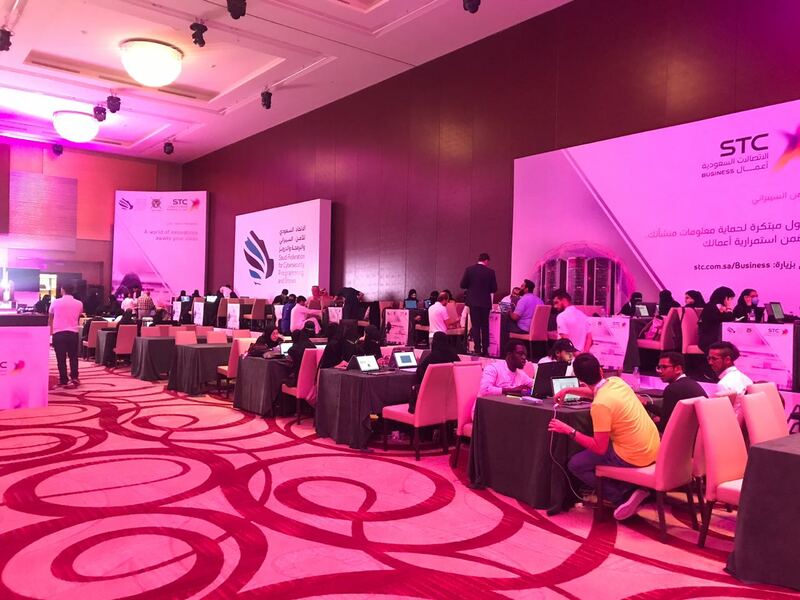 In addition to STC Business and Saudi Arabia Federation for Cybersecurity, Programming & Drones as Diamond Sponsors as well as exclusive Cyber Saber Hackathon sponsors; this year’s conference boasts an increase in sponsorship on all levels including many returning sponsors upgrading due to the success of the MENA ISC 2017 event. The MENA Information Security Conference 2018 is also sponsored by A10, Cisco and Netscout | Arbor as Platinum Sponsors joined by Accenture, Aiuken Cybersecurity, F5, Forcepoint, Fortinet, Kaspersky Labs, McAfee, Micro Focus, Obrela Security Industries, Palo Alto Networks, Splunk, Symantec, Tenable as the gold sponsors. Silver sponsors of the MENA Information Security Conference include, Anomali, Attivo Networks, Barracuda, Carbon Black, Citrix, CybrScore, Infoblox, Intel471, (ISC)2, Lookout, Malwarebytes, Qualys, RSA, SaasPass, Tripwire, Wipro and Zero Fox. Other Sponsors include, Marcom Arabia, W7Worldwide and CISOMAG.